(CNN) - Texas Democratic Senate candidate Beto O'Rourke said at a CNN town hall Thursday night that he would still vote to impeach President Donald Trump. 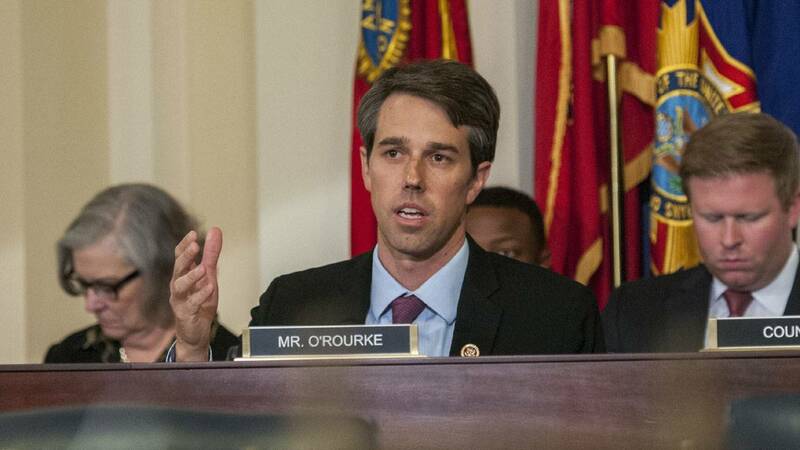 The El Paso congressman challenging Sen. Ted Cruz said that his position on impeachment hadn't changed, even as Cruz has used the issue to galvanize conservative voters against O'Rourke's campaign. Asked by CNN's Dana Bash if he had changed his mind after saying he'd vote to impeach Trump this summer, O'Rourke said, "I haven't." He pointed to the ongoing probe into whether Trump's 2016 campaign colluded with Russia. "There may be an open question as to whether the President, then the candidate, sought to collude with the Russian government in 2016," O'Rourke said. "But to quote George Will -- very conservative columnist -- when we saw him on that stage in Helsinki defending Vladimir Putin, the head of the country that attacked our democracy in 2016 instead of this country, and its citizens and this amazing democracy, that was collusion in action." He continued, "You may have wondered when he fired James Comey, the principle investigator into what happened in that election, whether that was an attempt to obstruct justice. But when, by broad daylight on Twitter, he asked his attorney general, Jeff Sessions, to end the Russia investigation, I would say that's obstruction in action." O'Rourke then said he likens impeachment to an indictment. "There is enough there to proceed to a trial," he said. O'Rourke said he "would not prejudge the outcome of that trial." "All I am saying is, there's enough there," he said. "I know that this is not politically easy or convenient to talk about, but 242 years into this experiment ... nothing guarantees us a 243rd or a 244th." The answer will likely fuel further attacks from Cruz, who repeatedly cited O'Rourke's comments that he'd vote to impeach Trump in their most recent debate Tuesday night in Texas. Trump won Texas in 2016 and is headed to Houston to campaign for Cruz on Monday. At that debate, O'Rourke -- who is trailing in polls despite shattering fundraising records for a Senate campaign, with a $38 million haul in 2018's third quarter -- mimicked Trump's 2016 presidential campaign attacks on Cruz as "Lyin' Ted." O'Rourke told CNN's Bash Thursday night he had some regrets about the comment. "It's not something that I feel totally comfortable with, and perhaps in the heat of the moment I took a step too far," O'Rourke said. Asked if he regrets the comment, O'Rourke said: "I don't know that that's the way that I want to be talking in this campaign." CNN invited Cruz multiple times to appear tonight in his own town hall, but he declined.